High Springs is about 21 miles northwest of the University of Florida campus in Gainesville. 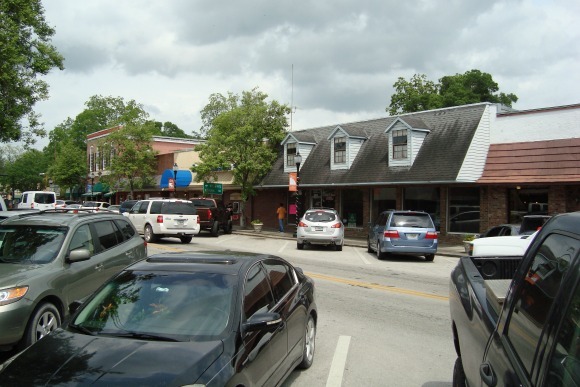 When I attended the university many years ago, High Springs was a quiet little town with a sleepy two block downtown business section. 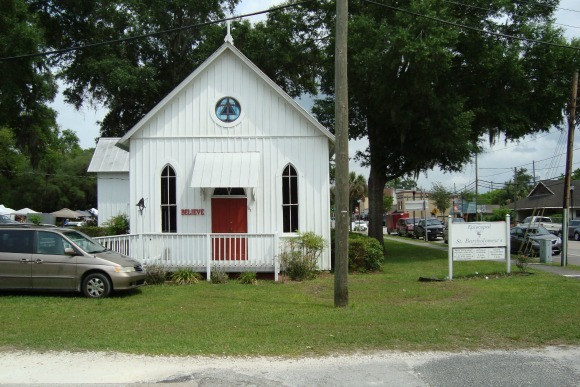 It was about as typical a small Florida town as you would find in those days. The town today is still small - about 5,000 people - and quiet, but the downtown area has been spruced up and is now home to several antique shops and nice restaurants. In contrast, just a couple of blocks from downtown many of the streets are still unpaved and are home to weather beaten old houses drowsing under the ancient oaks draped with Spanish moss. 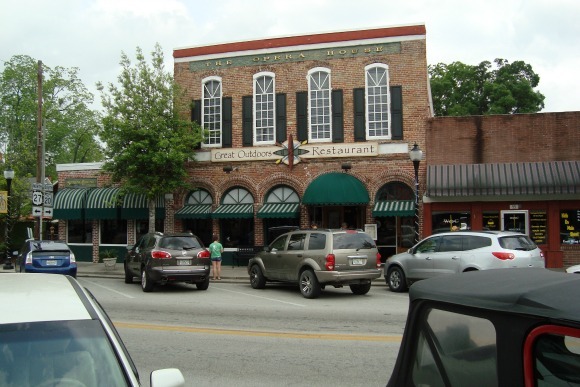 One of the features of this little town that puts it on the map is its crossroads location in north central Florida. 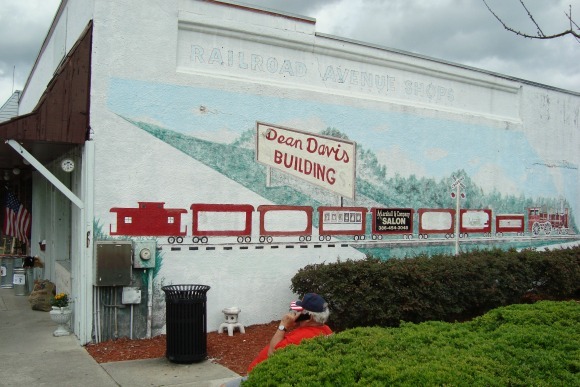 In the late 1800s, it was an important rail center for several main lines of the Atlantic Coast Line Railroad. The town had major railroad service facilities and a large train yard. The trains are gone, but today two major highways intersect in High Springs. In the not so old days before the interstates, this made High Springs a logical place for the weary traveler to stop for the night. Those highways - US-441 and US-27 - are still pleasant and less crowded today than the superhighways if you are traveling this part of the state. As the name of the town implies, High Springs is in "spring" country. It is close to the spring fed Santa Fe and Ichetucknee Rivers along with many other small springs such as Poe Springs and Blue Springs. Ginnie Springs Outdoor Recreation area is just 6.5 miles west of town. Just a few miles further west is Ichetucknee Springs State Park and its famous inner tube float trips down the river. 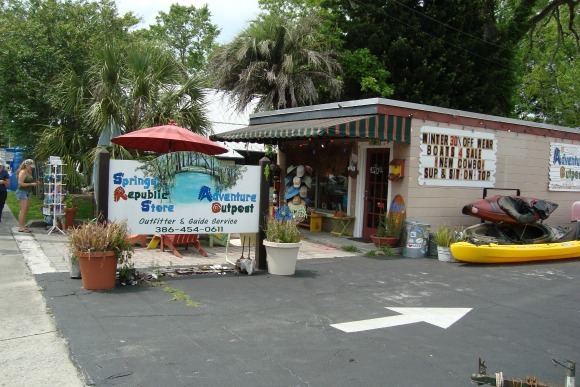 High Springs is a good place to stage a visit to these popular attractions. There are at least two bed and breakfast inns and a handful of motels in town. Great Outdoors is highly rated by all of the major restaurant review sites. It has also won Florida Trend magazine's Golden Spoon award. This is definitely a place to go if you are looking for great food. 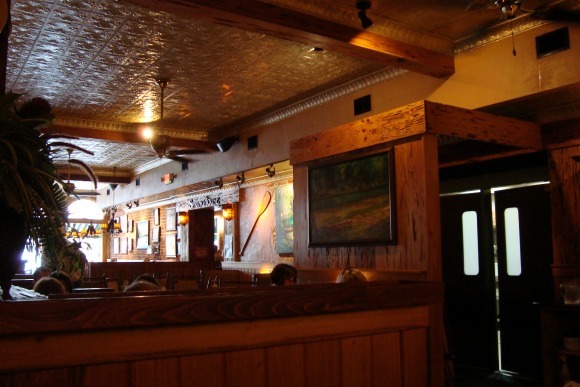 I recently had lunch there during High Springs Pioneer Days. The place was crowded, but service was still great and most servers were wearing pioneer costumes in keeping with the street festival outside. The first thing that struck me when I walked inside is the question: "how can a place this size survive in High Springs?". I can only surmise that this restaurant draws people from all over the area, not just High Springs. The restaurant is in a beautifully restored two story opera house. In more recent years, it was an outfitter store known as Great Outdoors. We were given the choice of sitting inside or outside on the patio. We chose inside, but I took a peek at the outside dining area and it looks great too. I also noticed that the second floor, called the Opera House, is available for wedding receptions and other large party events. 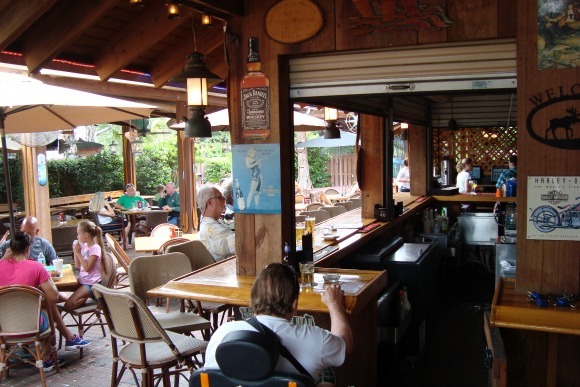 The ground floor dining area is beautifully rustic with a separate cozy bar and the outside dining is either under the stars or in a more protected area called the Boat House. The entire operation gives a first class appearance. We started our dining adventure with delicious conch fritters as an appetizer along with Margaritas on the rocks. I don't usually order drinks with lunch, and I probably won't do it again in Great Outdoors. My two Margaritas cost $10.50 each. That's a new record for me, so I recommend you ask your server in advance how much your drink will set you back. That was the only downer, however, as the food was great and the ice water was free. I ordered fish tacos with lightly breaded mahi-mahi and crispy shells along with a spicy veggie filling. There were three of them and they were great. My companion had clam chowder and a grouper Reuben sandwich. She pronounced both of them excellent. The menu runs the range from high cuisine to more modest fare like hamburgers. I can visualize spending a few days in High Springs just to eat all three meals in Great Outdoors. But if the Margaritas are any indicator of the price of their other drinks, I'll probably stick to water in my future visits. Great Outdoors is open from 11am to 9pm Tuesday through Thursday and Sunday, and is open until 10pm on Friday and Saturday.